Dr. John Giggie and the Summersell Center for the Study of the South were recently recognized for their efforts to map the history of lynching victims in Alabama and develop a program for teaching about racial violence and southern history at the secondary education level. The Council on Community-Based Partnerships at The University of Alabama awarded Dr. Giggie a grant to expand the Center’s partnership with Central High School in Tuscaloosa, Alabama. 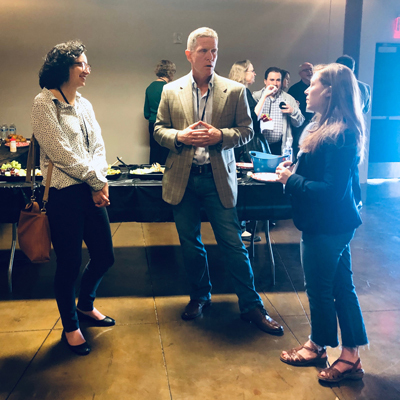 Specifically, the Community Engagement Graduate Fellowship covers the full cost of tuition and health insurance of a UA graduate student and provides a monthly stipend for them to work with Dr. Giggie. 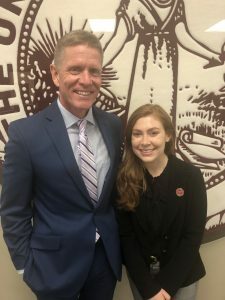 Ms. Margaret Lawson, a current senior majoring in history who will begin the Secondary Education MA program in The University of Alabama College of Education this fall, will serve in that capacity. The project builds on a partnership with Central High School, the Equal Justice Initiative in Montgomery, Alabama, along with the local chapter of the Southern Christian Leadership Conference, the Tuscaloosa Civil Rights History Task Force, and professors from the Department of Education and the University Libraries at The University of Alabama. 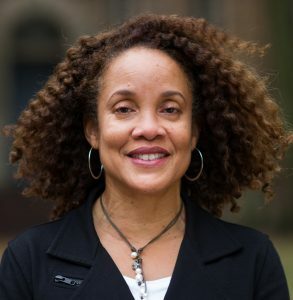 Dr. Giggie and Ms. Lawson will seek to design and implement a new curriculum that allows students to explore the place of lynching in Southern history. At its core, students from Central will research the history of local lynching victims and work closely with local community partners to erect a monument dedicated to these victims. The award was presented during the Thirteenth Annual Awards Luncheon on Wed., April 17, 2019 in the Ferguson Student Center Ballroom at 11:30 a.m.
Students enrolled in Dr. John Giggie’s Invisible Histories course recently presented research posters at the Queer History South Conference, which was held in Birmingham, Alabama, from March 27 through March 29. Invisible Histories is the first course of its kind in the history department — dedicated to learning about queer history and specifically recapturing the emergence of the queer student movement at The University of Alabama and across the state. Dr. Giggie has taken groups of students to three conferences within the last year. Within the last year, he has taken groups to the National Peace and Justice Summit, the Annual Meaning of Southern Historical Association, and now the Queer History South Conference. 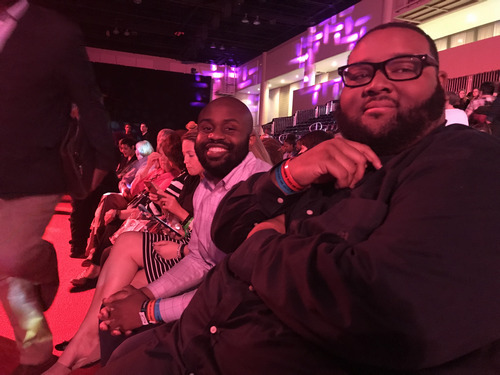 At the conference itself, the students headlined a special session focused on local battles for civil rights waged by LGBTQ+ individuals. They also met with historians, archivists, and researchers from across the South. Students are now building a digital humanities website to host their research and offer perspectives on the history of student life at the university. The follow-up course will be offered this fall, HY 430: Queer History South, in which students will take oral histories of state-wide queer leaders. All students, regardless of class standing or major, are welcome to enroll and speak with Dr. Giggie. The Summersell Center and Director Dr. John Giggie sponsored the attendance of four undergraduate students – Margaret Lawson, Isabella Garrison, Emma Pepperman, and Morgan Alexander (not pictured) – at the Southern Historical Association‘s 2018 Conference in Birmingham, Alabama this past month. 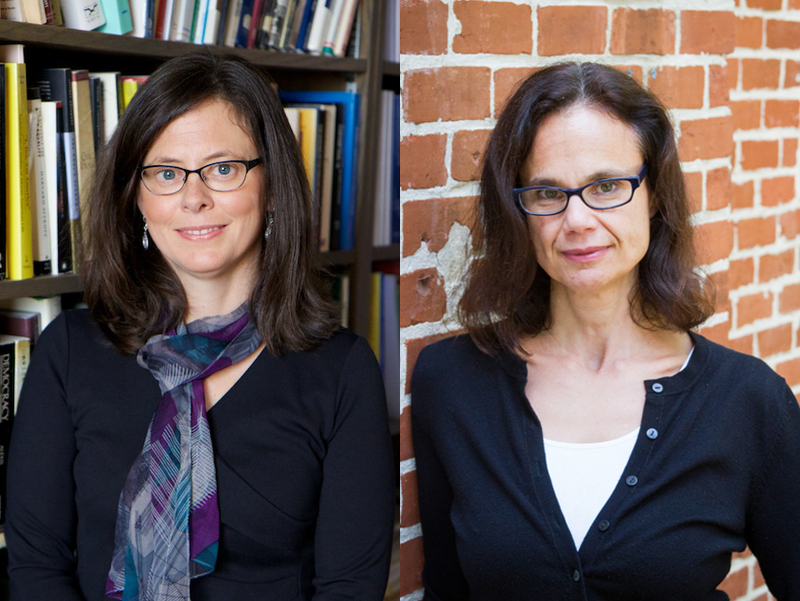 The SHA is a major conference on historical research into the American South. 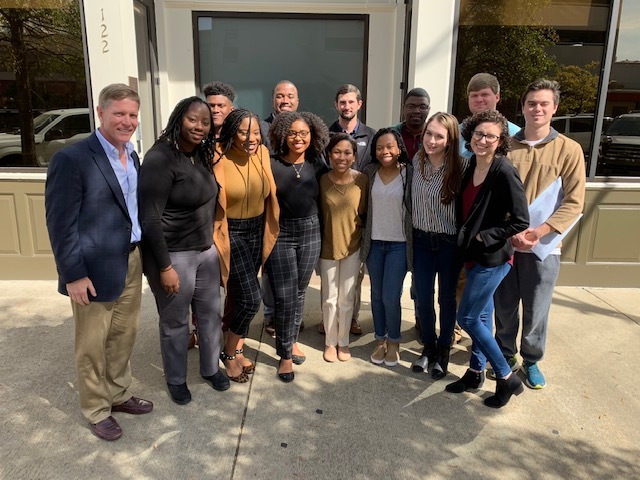 Dr. John Giggie and the students in his Alabama Memory: Lynching in Alabama class recently visited the Equal Justice Initiative in Montgomery, Alabama. There they presented the research they have done so far in the class. They also visited the National Memorial for Peace and Justice and EJI’s new museum, The Legacy Museum: From Slavery to Mass Incarceration. Dr. Giggie and students at the Equal Justice Initiative offices in Montgomery. 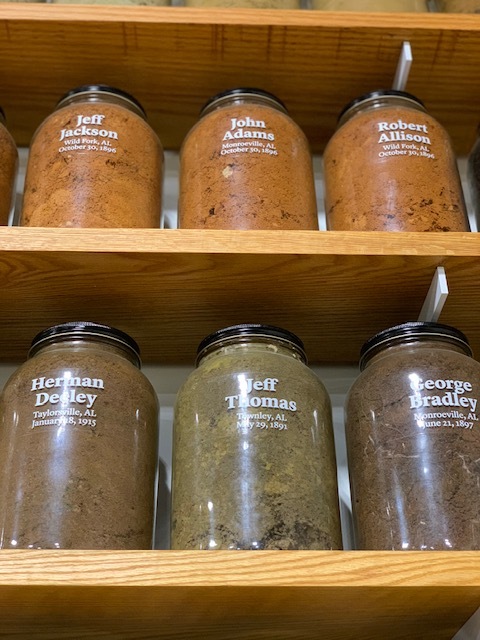 Soil from lynching sites students have studied. Hanging tablets at the National Memorial for Peace and Justice. The Summersell Center for the Study of the South and the W. S. Hoole Special Collections Library of The University of Alabama are pleased to announce the recipients of short-term travel fellowships for 2018-2019. The winners are Dr. Sarah Gardner of Mercer University, who will be conducting research for her book, “A New Glass to See All Our Old Things Through”: Reading During the American Civil War, and Dr. Kathleen Hilliard of Iowa State University, who will be researching for her next project, Bonds Burst Asunder: The Revolutionary Politics of Getting By in Civil War and Emancipation, 1860-1867. The winners will travel to the Hoole Library during the course of the next year and use its holdings as part of a book project or a dissertation. 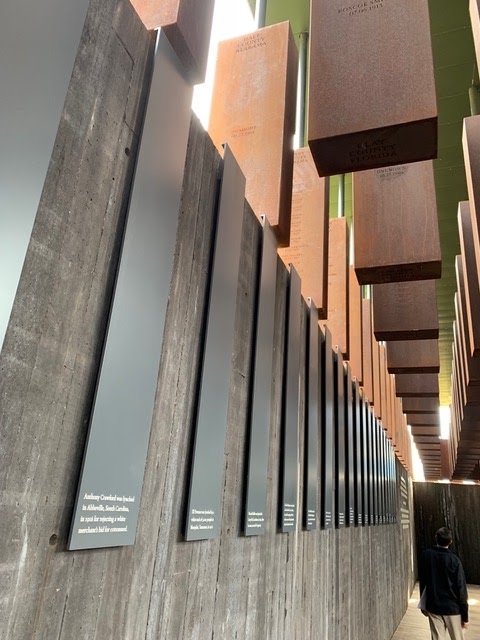 Dr. Giggie and a group of students attended the recent opening of a national lynching memorial in Montgomery. The National Memorial for Peace and Justice was founded by the Equal Justice Initiative on April 26th, 2018, in the heart of Alabama’s capital. 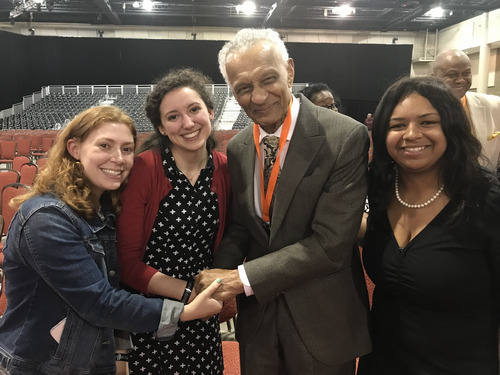 While attending the unveiling ceremonies, Dr. Giggie and his students were able to meet Rev. C. T. Vivian, a minister deeply involved in the Civil Rights movement who worked alongside Rev. 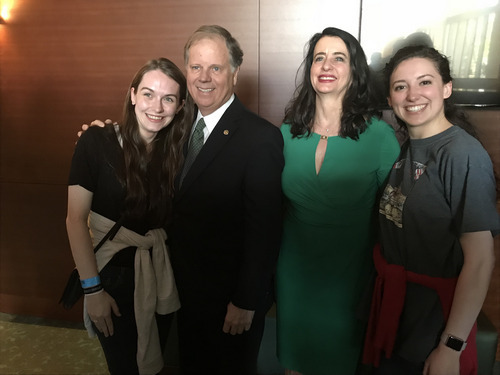 Dr. Martin Luther King, Jr. Additionally, the group also met Alabama Senator Doug Jones. Following the ceremony, they then visited the memorial. 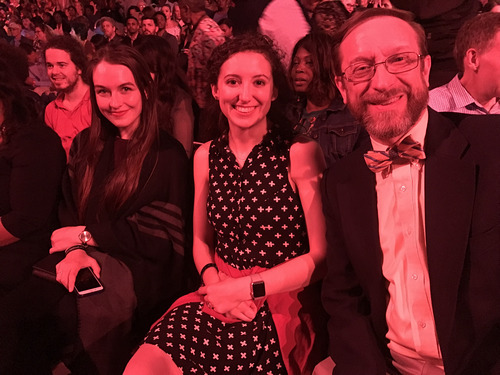 Dr. Giggie and his students were grateful to be a part of such a momentous occasion and to have contributed to the recent research into and dialogue about this period of our nation’s history. PhD Candidate Melissa Young has recently been awarded the 2018-2019 Rabbi Joachim Prinz Memorial Fellowship. As part of her fellowship, Melissa will spend a month at the Jacob Rader Marcus Center of the American Jewish Archives in Cincinnati, Ohio. She will conduct research for a chapter of her dissertation and share her work as part of an open AJA seminar in the summer. Melissa’s dissertation focuses on the important role Birmingham’s Jews played in the city’s development from 1871-1950. It highlights how they carved a space for their community by continually remaking their reputation in relation to fluid southern tropes. This allowed them to reject prevalent stereotypes, promote a strong Jewish identity, and respond rapidly to global crises associated with increased nativism, the Great Depression, and the Holocaust. 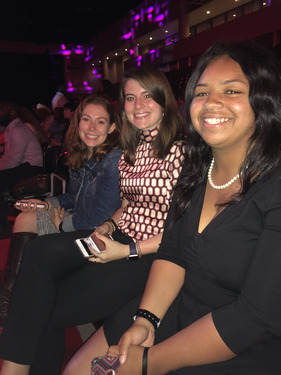 When Melissa travels to Cincinnati, she will connect Birmingham Jews’ language and behavior to Jewish communities who used similar strategies in Atlanta, Memphis, and Nashville. She is excited about her research and can’t wait to see what she will discover! 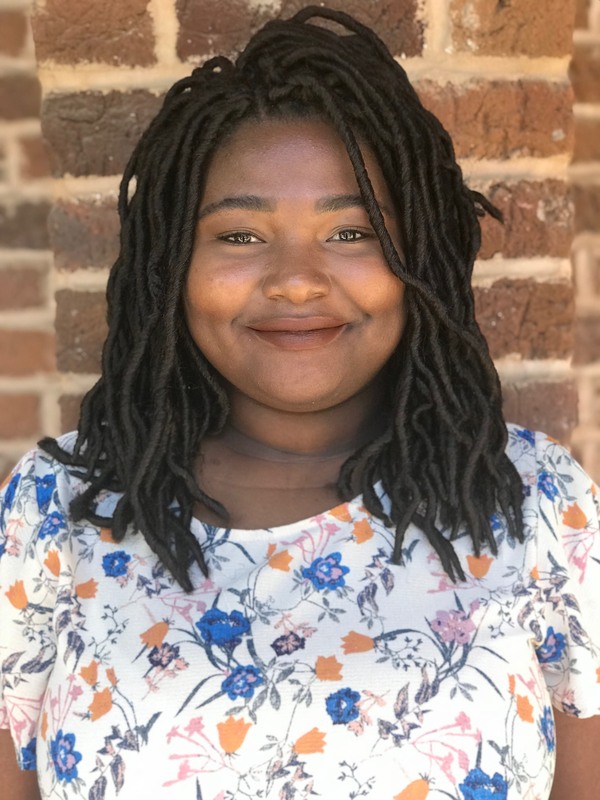 The Summersell Center is proud to announce that undergraduate Brie Smiley has been accepted into the Moore Undergraduate Research Apprenticeship Program (MURAP) at the University of North Carolina – Chapel Hill. MURAP is a program that targets underrepresented and minority undergraduate students who are interested in careers in academia. The program chooses twenty rising juniors and seniors every year, focusing on humanities students, to attend a ten week intensive research program. 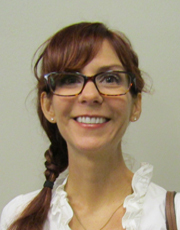 The application process is rigorous, but because of Brie’s research background through programs within the Summersell Center, including the recent course on Pickens County lynchings with SCSS Director Dr. John Giggie she was well prepared not only for her application, but also for this opportunity. Brie plans to research slave revolts, potentially in the U.S. as well as Latin America and the continental interior of Africa. She hopes to be a professor of either Africana Studies or history with a specialization in Africana. We are so proud of Brie, and we can’t wait to see her research through MURAP and beyond! 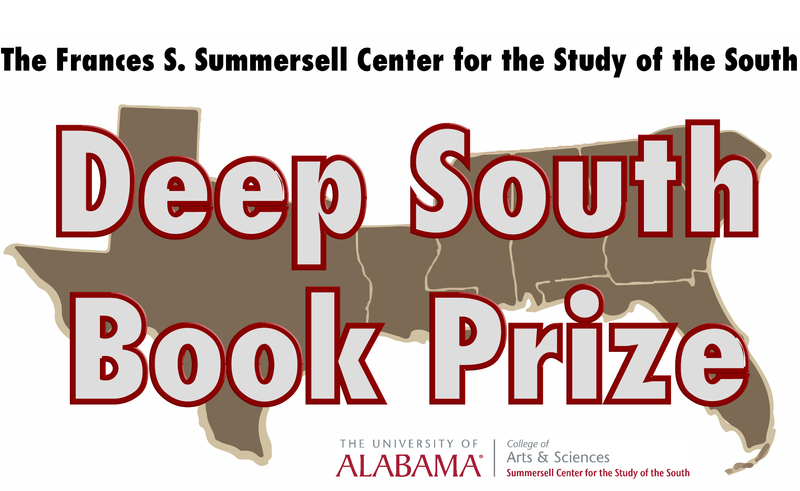 The Frances S. Summersell Center for the Study of the South at the University of Alabama continues to receive nominations for the 2018 Deep South Book Prize. Nominations will close on March 1, however. The prize is awarded biennially for the best book on the history or culture of the Deep South, and the author of the prizewinner will receive a cash award of $500. Questions or requests for additional information may be addressed to the Summersell Center at jmgiggie@ua.edu or at 205.348.1859.